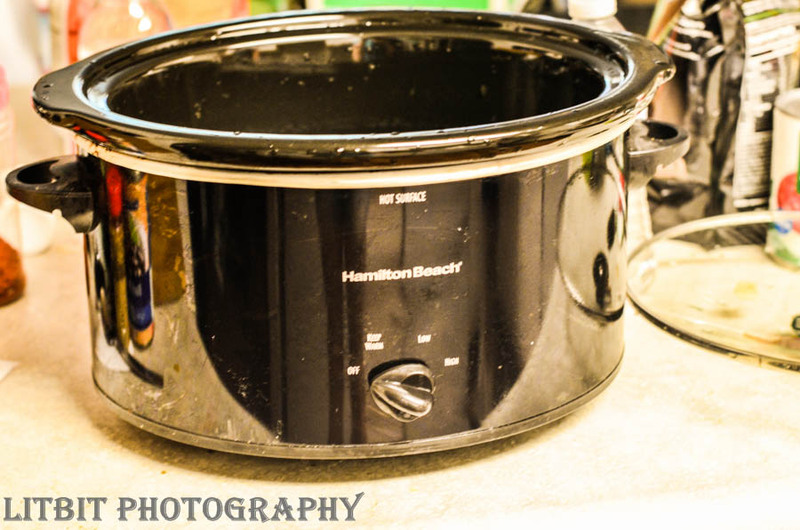 Frozen crockpot meals are great for busy days! | For the love of learning!! We had a very busy day today. Our original plan was for my husband and I to go on an 11 mile hike to McNeil point in the Mt. Hood area. Well, my husband twisted his ankle during the kickball game yesterday and has been unable to walk on it very much. That pretty much eliminated those plans. Oh well though, because we had a lot of errands that needed to be taken care of as well. Before we left the house I put a crock pot liner in the crockpot and chose a meal from the prepared dinners I made yesterday. Today I chose “Salsa Chicken”. First I’ll go over how to go about making your first meal from a frozen state. 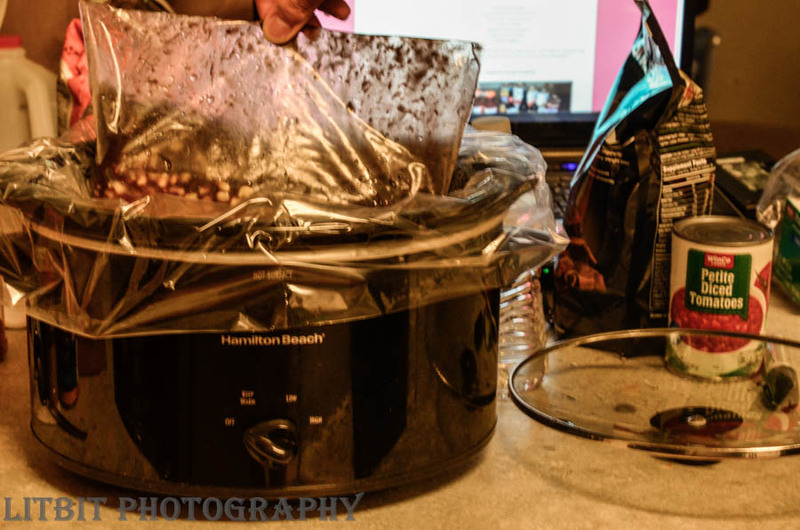 So get out your crockpot. 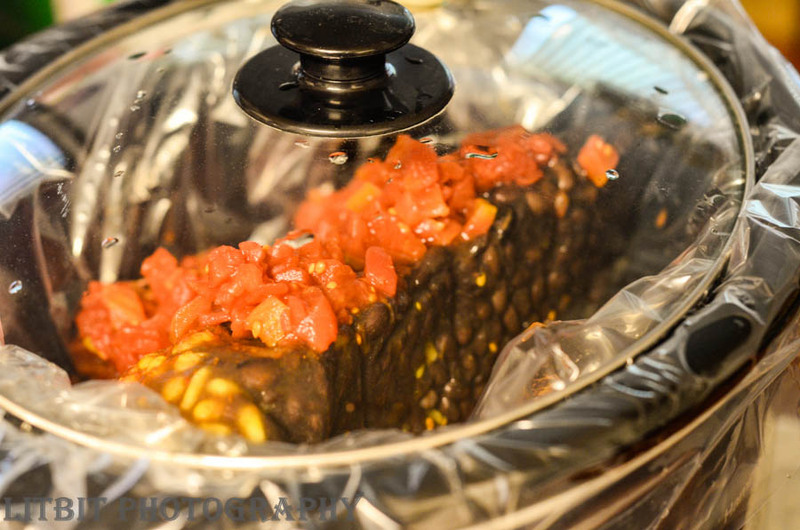 Next line it with a crockpot liner (if you wish, you can also just put it straight into the crockpot, your choice). Now pick out your frozen meal that you wish to make. 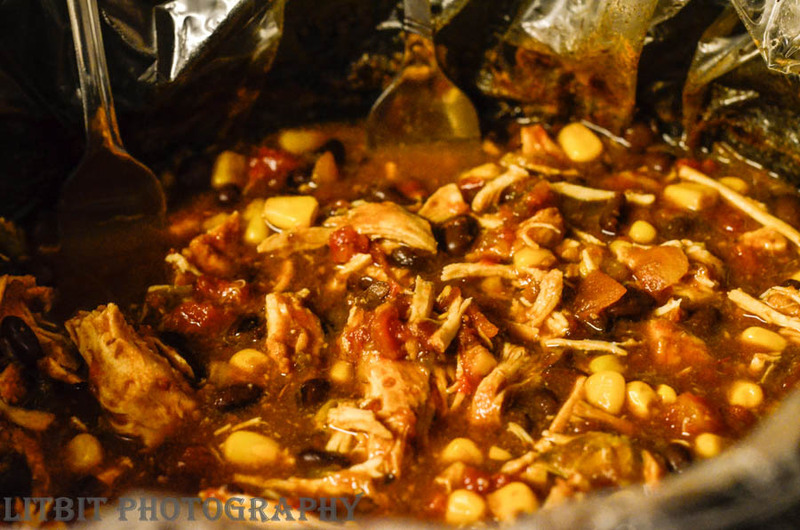 This one is the “Salsa Chicken”. TIP: In order to get the frozen meal out of the bag easier it is best to run the sealed bag under warm water from the sink. This prevents the food from sticking to the inside of the bag. If you do this everything will just slide right out. I ended up add the can of petite diced tomatoes that are in the background there to the crockpot. I had forgotten to add them to the bag before. Now what you have is a frozen block of food. We ended up just leaving ours like this on the “low” setting while we went out to get printer ink from Target and tried to go to urgent care (we found out that Kaiser didn’t actually have an urgent care near us though). After we got home (about 30 minutes later) I tried to stir this a little bit, but it was still pretty frozen. I needed to print a bunch of paperwork to bring to PSU in order to be able to claim myself as an Oregon resident. Plus stop by my credit union to get it notarized. You would think that since I was born here, have paid Oregon taxes every year, have lived here pretty much my whole life (and continuously for almost 2 years), have always had an Oregon liscence and graduated high school here that I should automatically get Oregon residence status. NOPE!! Because I was taking online classes at Baker College (which is based in Michigan) I was automatically enrolled into PSU as a Non-Resident (which costs a LOT more than resident status). Anyway, they said there shouldn’t be a problem accepting my paperwork. Okay back to the meal. We got home and the food smelled SO GREAT when we walked in through the front door. 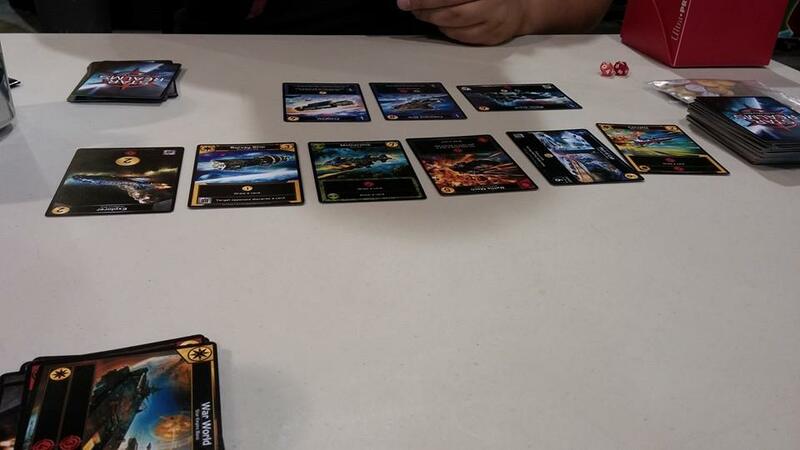 We had about an hour and a half before we were going to meet a friend at the local board game store (Guardian Games) to play a game that just came in print (Star Realms). The food had defrosted and the chicken was cooking nicely. It didn’t look like a frozen block of food anymore. I made myself a chocolate banana mocha Shakeology before we headed out to Guardian Games. That was pretty good. It was kind of nice to get my coffee AND meal at the same time!! Ryan and I each played a round of “Star Realms” with our friend and took turns playing “Sleeping Queens” with our 6 year old. After getting home and taking care of the dogs we finally got to eat dinner. We ate it while watching an episode of “Orange is the New Black”. Olivia told me that it looked gross and she hated black beans and tomatoes. After making her eat a couple bites she said “it was so yummy” and it was “the best dinner ever”. So it turns out everyone liked it!! It was so easy to do and took so little prep to make. I’m so glad I made these freezer meals!